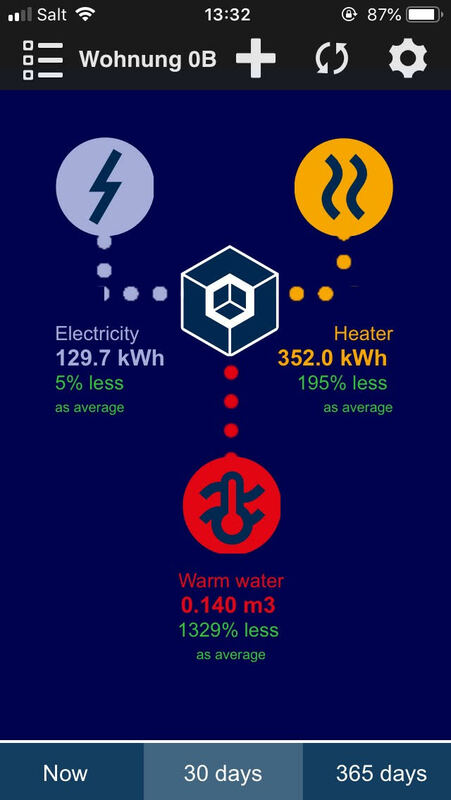 smart-me brings your photovoltaic system, boiler, heat pump and other energy consumers and producers together on a single platform so that you can be smarter about your energy use. 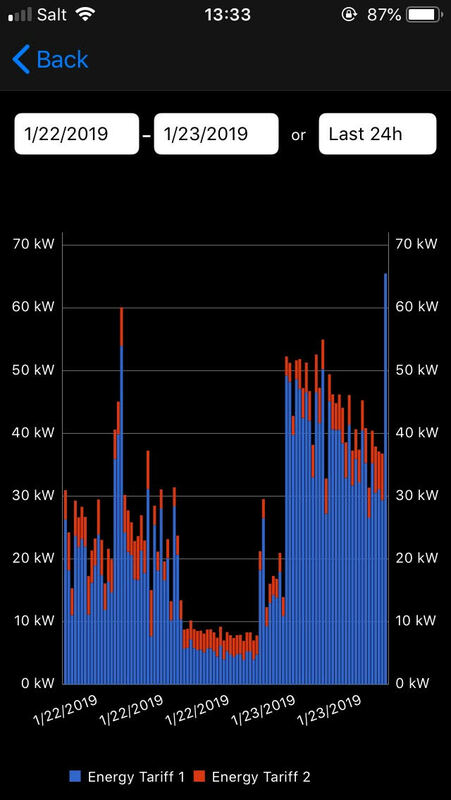 It gives you a live view of the devices that are switching on or off and how much electricity they are each using. What’s more, the app doesn’t just visualise individual electrical devices, it provides a view of the entire living space or building in a handy summary. 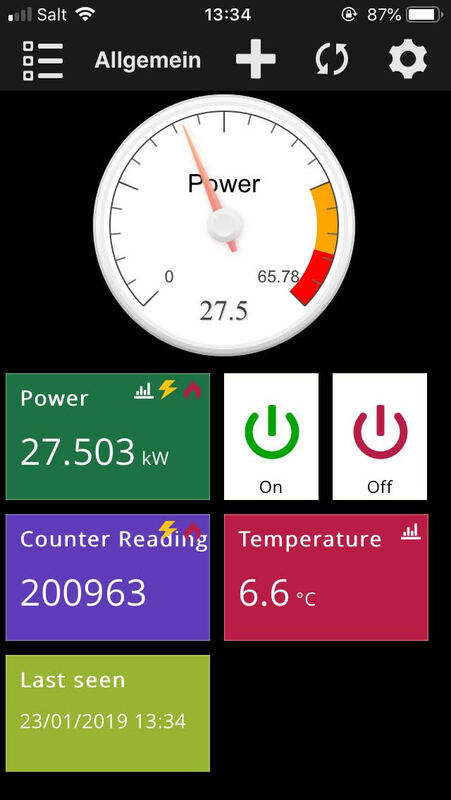 The energy management tools also allow easy optimisation of your own energy consumption. Visualisation of the load profile of an entire building in the smart-me App. With the smart-me app, you no longer have to go down to the basement to read your electricity meters just to find out your current energy flow. 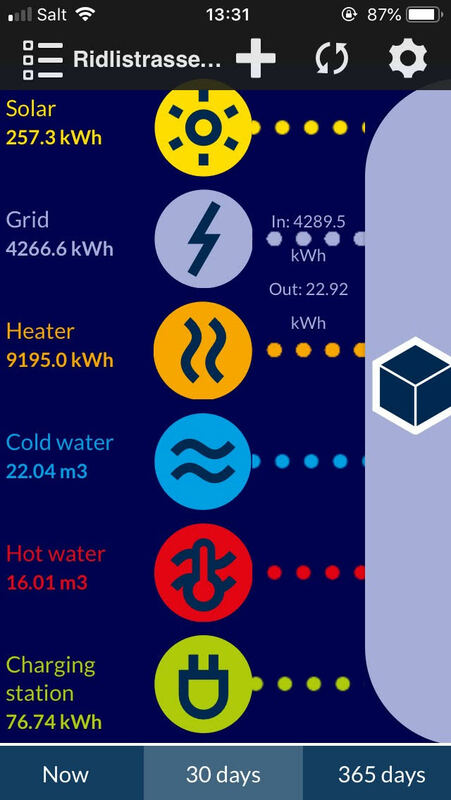 A glance at the smart-me app will instantly tell you how much electricity your photovoltaic system is currently producing, how much power your electric car is consuming and how much hot water you used for your last shower. The smart-me app is designed for ease of use, with intuitive installation, settings and operation. The app can be used for individual electrical devices (lamps, computers, etc.) or for an entire living space – including water, electricity, heat and gas. This is more than just an electricity-saving app because it offers you an overview of every type of energy. To help you apply this knowledge in practical terms, we offer the option of controlling energy flows through the app. These can be triggered and managed by switch, smartphone or automatically using if/then actions. With if/then actions, you determine what you want to be automatically activated and when. You can set a wide range of events for all sorts of eventualities – a pre-defined temperature, a time of day, a surplus of photovoltaic electricity and much more. For example, you could use if/when actions to only charge your electric bike with solar power. The smart-me app functions with smart-me energy metering devices and over 1,000 other meters. Provided you have a smartphone and your devices are linked to the smart-me cloud, you’re ready to take energy management into your own hands. Find out more about smart-me energy metering devices, the integration of third-party meters and smart-me Professional cloud functions. smart-me brings energy management into your home. It offers real-time energy monitoring and also simple controls for managing and optimising your energy yourself. All in all, smart-me is the simplest, most cost-effective solution for managing building energy. The smart-me app is free! Download the app, connect to a smart-me device and away you go.